It's both interesting and bizarre that there are a row of restaurants attached directly to Zone Bowling in Coquitlam. What is even more curious is that most of them are Asian. Well, I guess it could be the prevailing local population (sorta nearby) and/or pure coincidence. 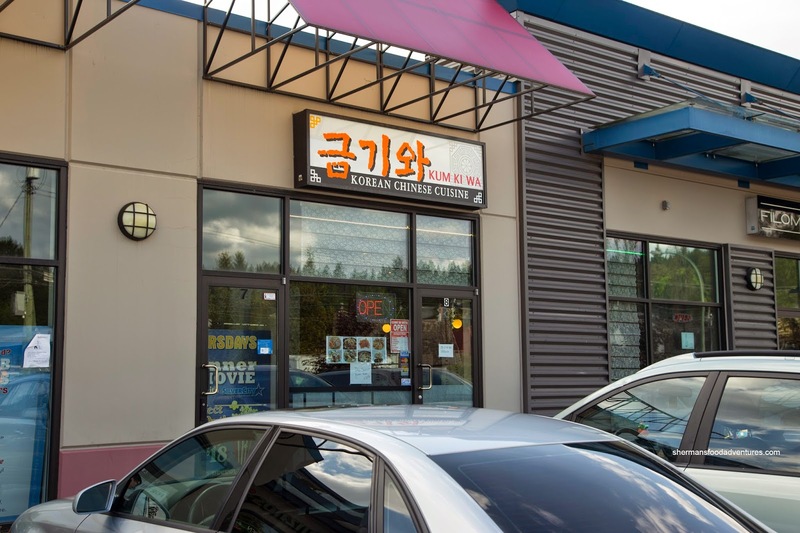 I mean, the whole gamut is represented: bubble tea, Vietnamese, Japanese and even Korean Chinese. Yes, not Chinese and not Korean - Korean Chinese. Since that is only slightly behind my other favourite fusion cuisine (Indian Chinese), I rounded up the family and headed over to the bowling alley for eats. 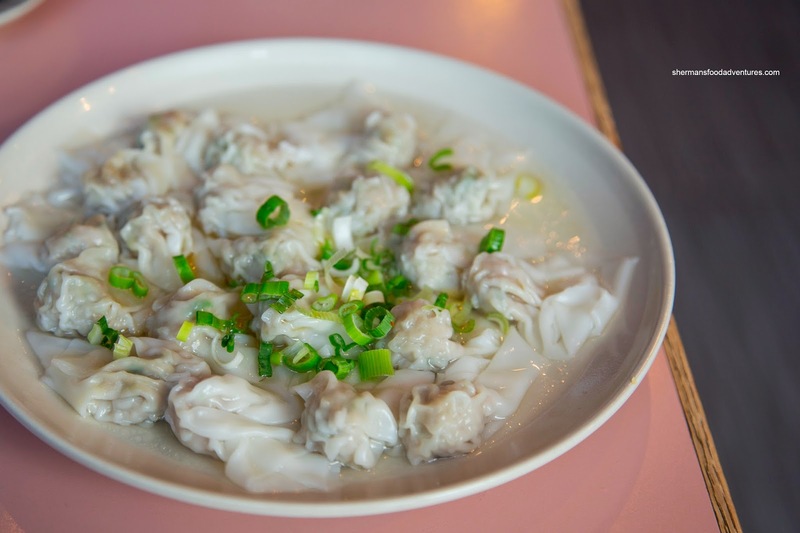 We started with the Mandu that consisted of 20 boiled mini-dumplings. We found that they were cooked just enough where the wrapper was soft while not mushy. Furthermore, the filling had a nice texture which featured a tender and moist meatiness. The amount of onion was just right as we could definitely taste it while the meat was not overwhelmed. 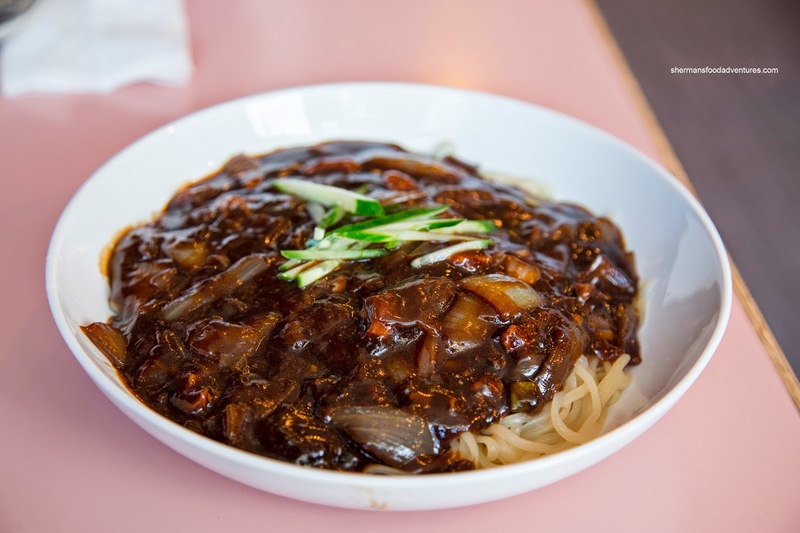 Next up was the Jjajangmyeon which featured a considerable amount of the black bean, potato and onion sauce. I found it to be on the sweeter side as there was plenty of onions in the mix. The noodles were chewy and sticky which was really good with the sauce. However, there was this raw flour aftertaste which was not that pleasant. The one dish I had to get was the Kkan Poong Gi since it is one of my personal favourites. 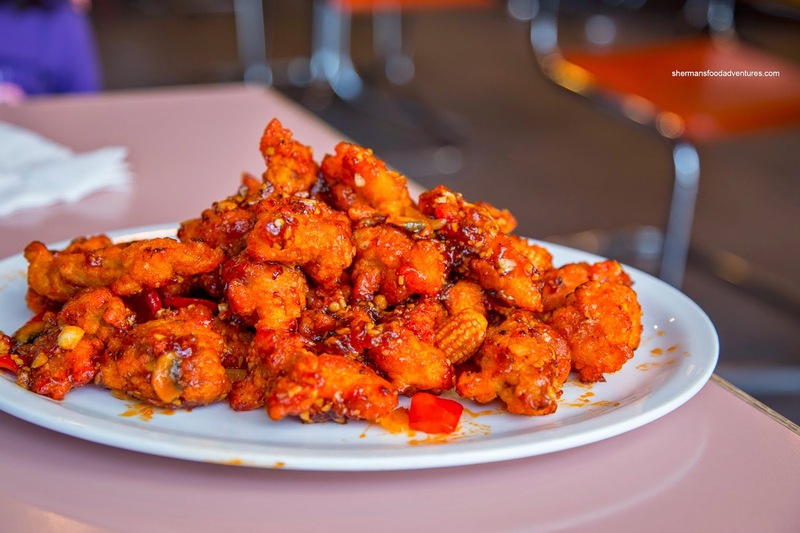 This arrived as a pretty large portion of fried chicken bathed in a spicy, sweet and really garlicky glaze. The flavours popped in my mouth as each layer announced itself in stages. I got sweet, then some spice ending with a huge garlic hit. The chicken was moist and tender, but the potato starch batter was laid on a bit too thick becoming quite doughy in spots. 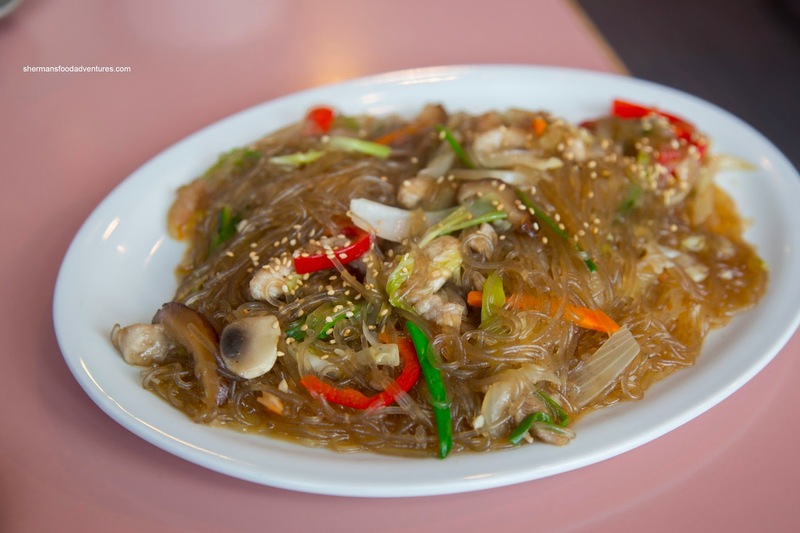 Lastly, we had the Japchae that was a bit paler than we are used to. Moreover, there was much more savouriness than sweetness. There was only a mild hint of sesame oil while the good amount of pepper was obvious with each bite. Overall, the dishes we tried were not bad. Yet, the food came out painfully slow as it took almost a full hour for the last dish to arrive.